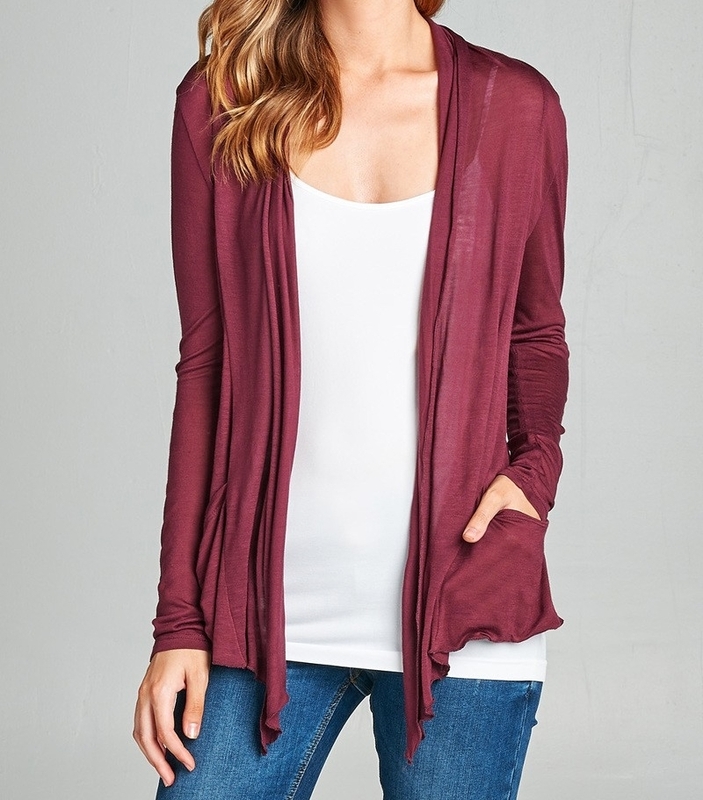 This lightweight cardigan is such a pretty color! I love the weight and drape of the rayon fabric – it really is so complimentary! 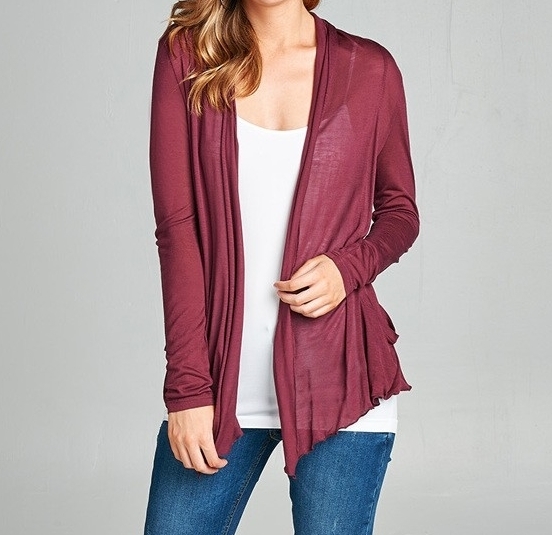 This Flyaway Cardigan hangs open in the front and has decorative side pockets. Pair it with your favorite jeans and shirt or dress it up with a dress and belt.